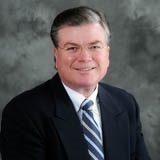 David W. Mason is one of the founders of Financial Advisors, Inc. David is a Certified Financial Planner™ who has been serving clients throughout Washington, Oregon, California, Idaho and Utah since 1979. His practice is concentrated in long-term financial and investment planning for individuals, families and small businesses. He also advises in retirement planning options, estate planning, dissolution cases, and life insurance planning. David has an extensive education in the areas of tax strategies, investments, risk management, retirement, divorce, and estate planning. He specializes in Generational Legacy Planning for estates which focus on passing family values in addition to avoiding estate taxes to the greatest extent possible. Professional involvement includes membership in the Institute of Certified Financial Planners, International Association of Financial Planners and the Financial Planning Association. David is a member of the Clark County Estate Planning Council. Because community service is important to David, he has been chairman of and served on various committees for the Vancouver Chamber of Commerce. David also served on the board of Big Brothers Big Sisters Columbia Northwest.